Today i will share with you the list of SSIS most frequently asked interview questions with answers. 1. What are the different types of Data flow components in SSIS? There are 3 data flow components in SSIS. 2. Explain Audit Transformation ? 3. Explain Copy column Transformation? This component simply copies a column to another new column. Just like ALIAS Column in T-Sql. 4. Explain Derived column Transformation? Derived column creates new column or put manipulation of several columns into new column. You can directly copy existing or create a new column using more than one column also. This transformation sends output to multiple output paths with no conditional as Conditional Split does. Takes ONE Input and makes the COPY of data and passes the same data through many outputs. In simple Give one input and take many outputs of the same data. 7.What is a workflow in SSIS ? 8.What is the Control Flow? A transformation simply means bringing in the data in a desired format. For example you are pulling data from the source and want to ensure only distinct records are written to the destination, so duplicates are removed. Anther example is if you have master/reference data and want to pull only related data from the source and hence you need some sort of lookup. There are around 30 transformation tasks available and this can be extended further with custom built tasks if needed. 10.How many difference source and destinations have you used? It is very common to get all kinds of sources so the more the person worked with the better for you. Common ones are SQL Server, CSV/TXT, Flat Files, Excel, Access, Oracle, MySQL but also Salesforce, web data scrapping. Thanks for sharing this. But after reading this I am confused between Control Flow and Work flow. 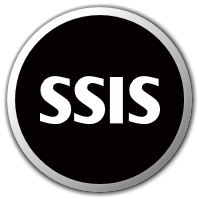 Pardon my ignorance here since i am just a beginner with SSIS. nice collection of ssis 2012 interview questions.